How would you feel if someone stole something from you and from other people, then turned around and made money from it, selling stolen goods as their own? This is what a guy named Ted McGrath has done to my woodworking plans and instructions and that of others. Well, “Ted” is the name put to the face shown publicly, but I doubt there is a real Ted at all. 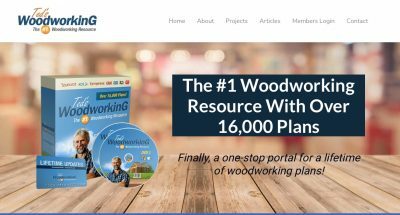 One of several “Ted McGrath” websites that sells pirated plans stole from woodworking designers. 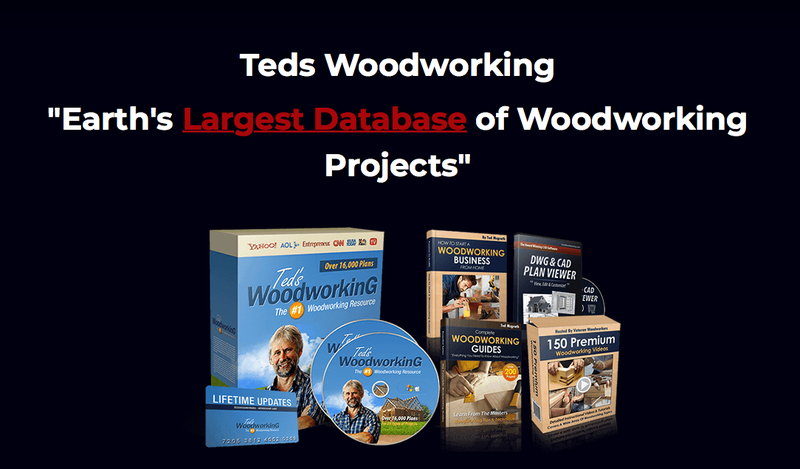 Ted claims to have spent 20 years “putting together” 16,000 woodworking plans into a collection he offers for sale online. 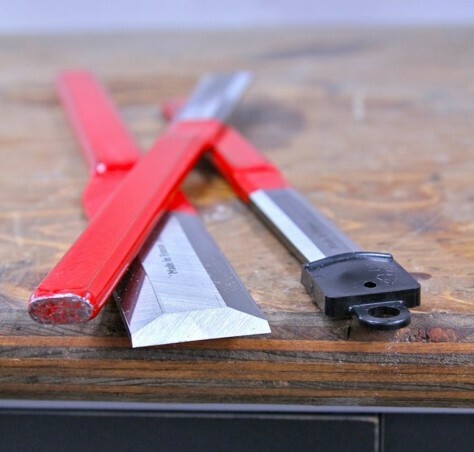 That works out to more than two full-size woodworking plans packages each day, 365 days a year for 20 years. What’s the secret to Ted’s amazing productivity? He steals plans, and my own published woodworking projects are part of what he’s “put together” in the collection he sells. I assume Ted found my work online, he helped himself to the plans, instructions and images, and is now selling them as part of a collection as his own. He’s been doing it for years. I first discovered this theft in early 2016 when Ted was using my own plans to promote his product. I contacted “Ted” and got someone from the organization who apologized and said that my plans would be removed immediately. It sounded like a familiar response somehow, and especially meaningless since the person I emailed with never even asked me which plans were involved. And besides, how can anyone “remove” plans from a collection of physical DVDs that already exist? I was reminded of all this earlier in the week when another one of Ted’s sales emails arrived in my inbox. There’s the same project of mine featured as part of the sales material on the website, along with plans that I recognize from other woodworkers I know. Has anyone been approach for permission to use their work? Not me, and none that I could find when I asked around. Ted McGrath is a plans thief. No matter where you look in history, there are pirates like “Ted McGrath” who steal and profit dishonestly from the work of others. He does it because he can get away with it. And unless I’m missing something, there’s very little I can do. But perhaps you can help. The most recent “Ted McGrath” website that seems to be selling a collection of disks but isn’t. 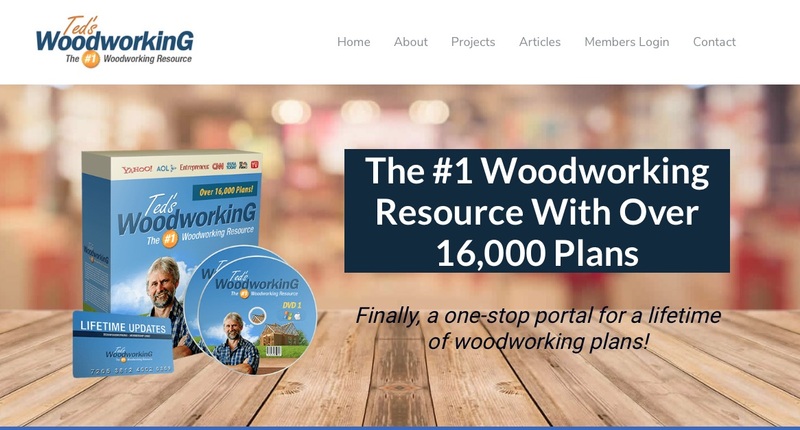 First, know that Ted McGrath and his “largest database of woodworking projects” includes stolen material. Google “Ted McGrath woodworking plans” and you’ll see all kinds of people who describe the scam. And second, if you feel that stealing the content of hardworking designers and selling it is wrong, send a message to “Ted”. I’m not sure that people like him are capable of shame, but he deserves to. Can I get your help complaining? Click here to send a message to the customer service department Ted has put together. P.S. Many of Ted’s customers are disappointed. His website shows a collection of physical DVDs for sale, but all you get when you pay $67 is access to an online database of projects, not a collection of disks as shown on the website.